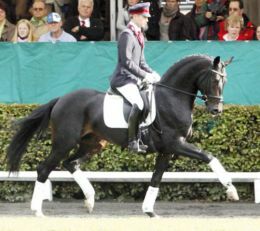 In Quadroneur, two of the most successful sires in modern dressage breeding are brought together: Quaterback and Sandro Hit, both of whom are former Bundeschampions. 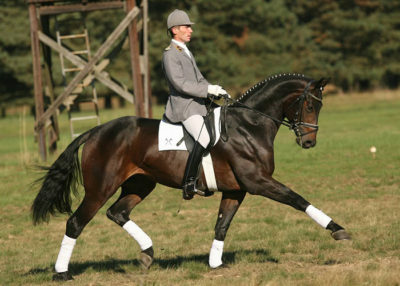 Quadroneur’s dam, Pirouette is also the grand dam of the stallion Belantis, and she stems from the Neustaedt P family. Quadroneur – very noble and in the coveted black jacket is the most striking son of Quaterback’s first foal crop. Quadroneur is as successful in sport as he is as a sire. 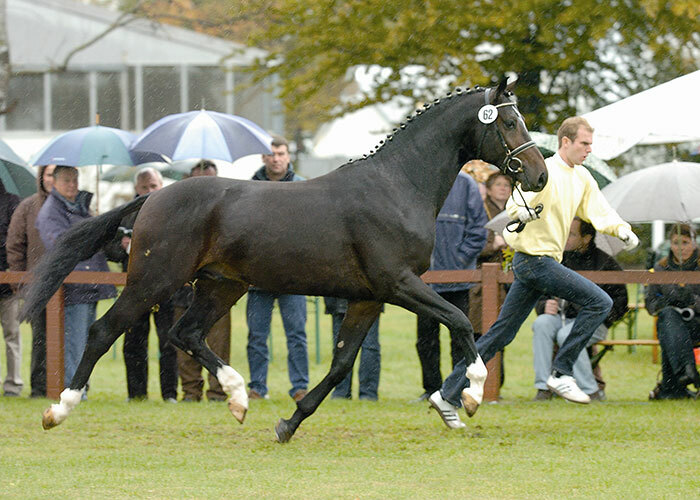 As a result of his outstanding trot complimented by an excellent canter and active walk, he was the 2011 Brandenburg-Anhalts Reserve State Champion, and with the score of 8.4, he was victorious as the 2012 Brandenburg-Anhalts State Champion qualifying him for the Bundeschampionate in Warendorf. In 2013, Quadroneur represented the Neustaedter Gestuete at the top of the program. He therefore traveled to the stallion presentation in Gent, Belgium in February and a long way to Canada in August. 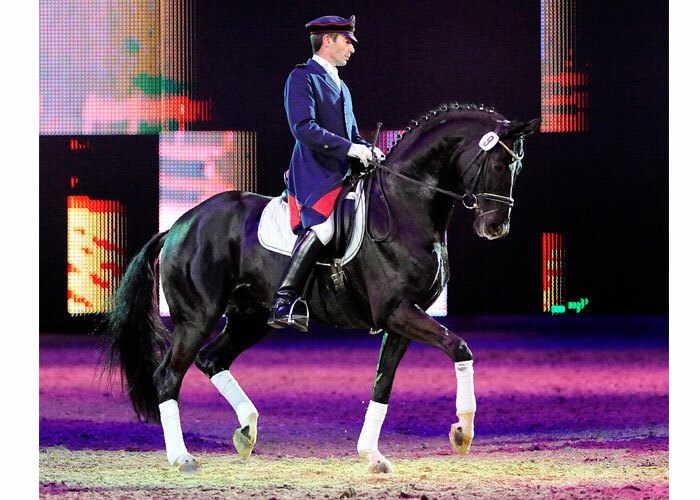 At the international show, “Spruce Meadows”, he caused a sensation with his phenomenal performance embossed with debonair and absolute calibration in the German State Stud Quadrille. Quadroneur is currently competing successfully in dressage shows at M Level. The number of his premium foals in all of his foal crops notably exceeds 70% and the count of his foals qualified for the championships is solidly in double digits. Futhermore, three of his foals, through their distinguished type and movement par excellence, were captivating at the foal championships of the Pferdezuchverbandes Brandenburg-Anhalt and were placed in the finals with the dream scores of 8.5 to 9.5. HLP 30 Day test, Overall 8.24, Dressage 8.34, Jumping 7.8.